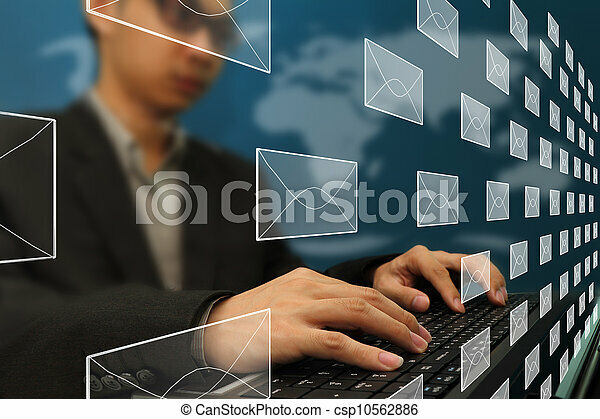 Business man at the office working on e-mail typing. 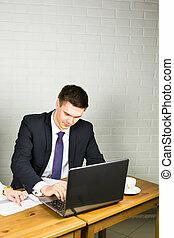 business man working on the laptop at office with copyspace. 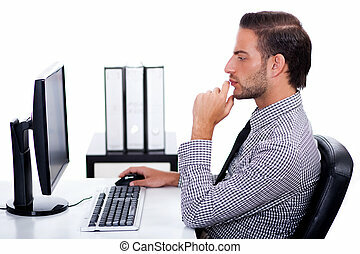 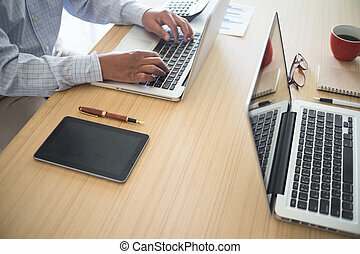 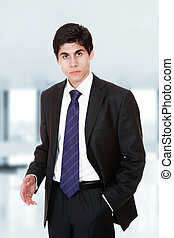 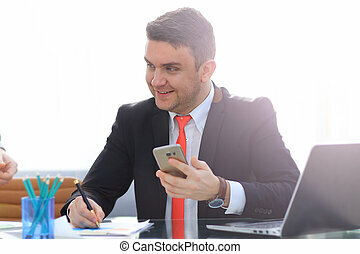 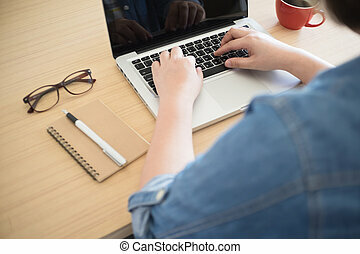 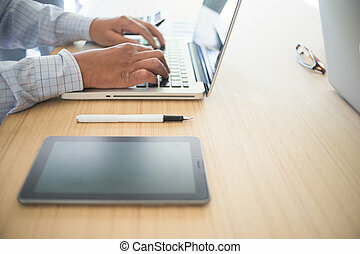 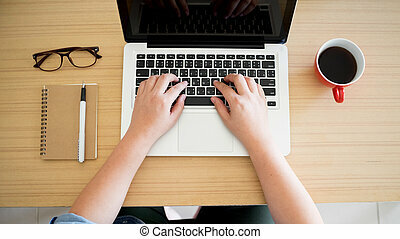 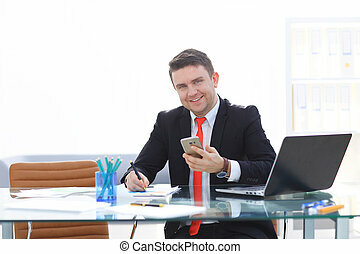 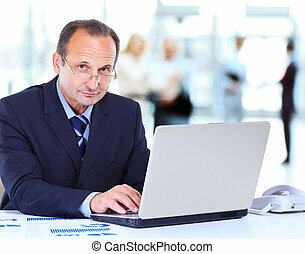 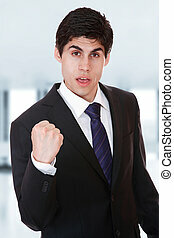 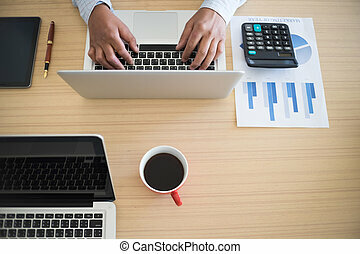 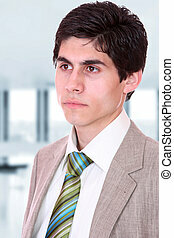 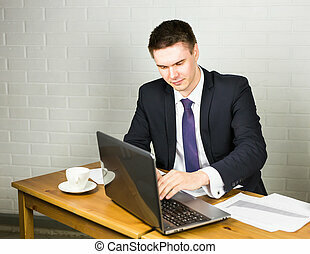 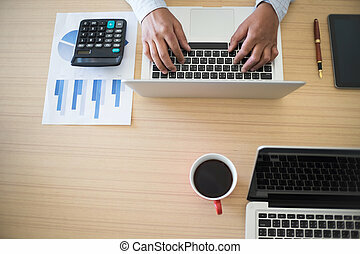 Young Man working at the office on laptop.